Do you envision yourself in front of the camera reporting breaking news, or behind the camera at a major sporting event? Do you want to be the creative director behind an iconic advertising campaign? Or do you want to be a passionate spokesperson advocating for effective health care? As a Communication major, you’ll gain the speaking, critical thinking, and writing skills to pursue your passions in the field. You’ll have access to our modern television studio, computer lab, and editing software in your first year. You’ll intern with local television stations, advertising agencies, nonprofit organizations, and businesses that will expand your network for future jobs. Communication skills are highly sought-after by employers in every industry—one reason why our students launch fulfilling and dynamic careers quickly after graduation. The ability to communicate clearly, write well, work as a team player, and present yourself in a professional manner is vital. 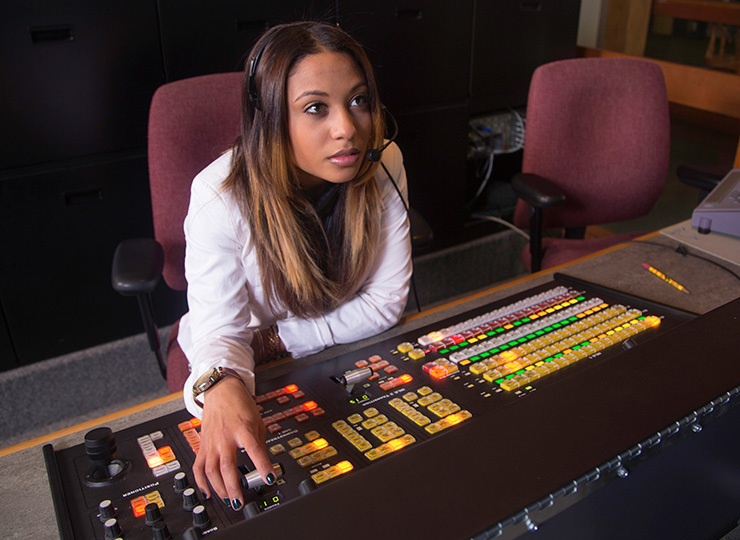 Whether you want to work in an official capacity as a reporter or public relations executive, want to work in the control room for a television production or the boardroom of a nonprofit, or want to become more adept with communication for graduate studies, a degree in Communication will prepare you for the world’s challenges. The Communication major will prepare you to be an effective communicator and critical thinker. You’ll get broad exposure to all areas of the field from day one. You’ll learn how to produce your own newscasts and radio reports in our television studio, create PR and social media strategies to promote corporate clients or social causes, write a special interest blog that will get you noticed, or learn skills that can help you excel in the corporate world. In addition, Communication faculty lead a three-week study abroad experience in Italy each year, which offers an unparalled travel and learning experience. You’ll also specialize in one of five concentrations -- Corporate Communication, Health Communication, Journalism, Media Theory and Production, or Public Relations -- which will help you pursue your own goals. Graduates have also gone on to our Master of Arts in Communication program, offered entirely online. 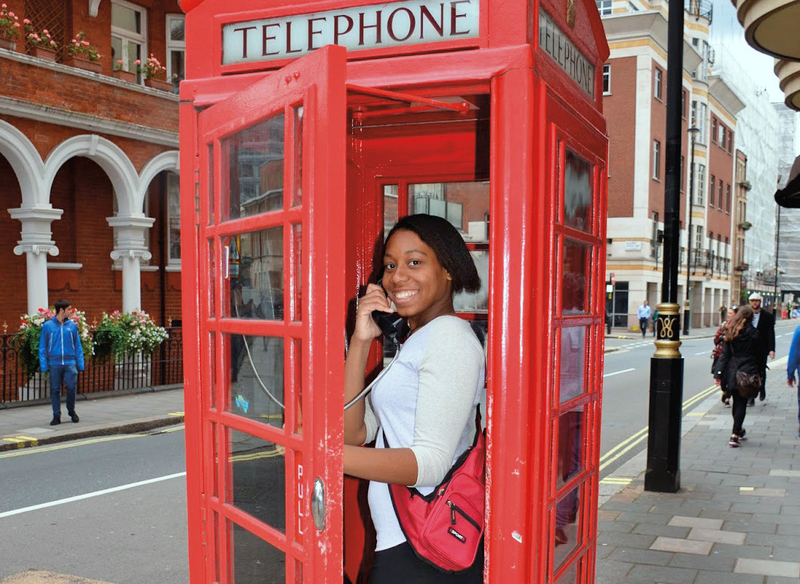 As one of the University's most flexible majors, the Communication program is adaptable to almost any industry. Our graduates are applying their degrees in careers at television stations, newspapers, marketing companies, advertising agencies, nonprofit organizations, sports franchises, healthcare companies, and educational institutions. Our alumni have been hired at ESPN, WWLP-TV 22, SiriusXM Radio, Inc., Fusion PR, Progress Software, Garvey Communication Associates, and Envision Marketing Group. Communication students may have interests in: Lambda Pi Eta (Communication honor society), The Westerner (student newspaper), WNEK The Voice (student radio station), Golden Bear Television (student television station), and National Communication Association. Many of our students also participate in varsity and intramural sports, special interest groups, and student government. Our faculty members have extensive experience in the field. They have worked in television, education, international radio, business, professional sports, public relations, and politics. As both your professors and mentors, they will teach you the skills to succeed in the classroom and gain experience in your chosen industry. As influential members of the local community, our faculty can help you develop key contacts and secure employment opportunities prior to graduation. As a Communication student you'lll gain professional skills and experience through internships, fieldwork, and community-oriented projects. These experiential learning opportunities will allow you to explore future careers in a practical setting. You'll have access to a network of more than 1,000 internship sites where you'll learn from the best. Communication majors have interned at sites including Mercy Medical Center, Masslive.com, The Huffington Post, WGBY-PBS, and the Metropolitan Opera.